Back in 2015 I made a series of fonts for a show, Mediations, at Charlie James Gallery. Most of them are totally useless and poorly designed, but I’m happy to release Powhida Standard gratis and free for whatever strange and ill-conceived uses one might find for it. The font is all caps, but there are lower case and upper case characters. 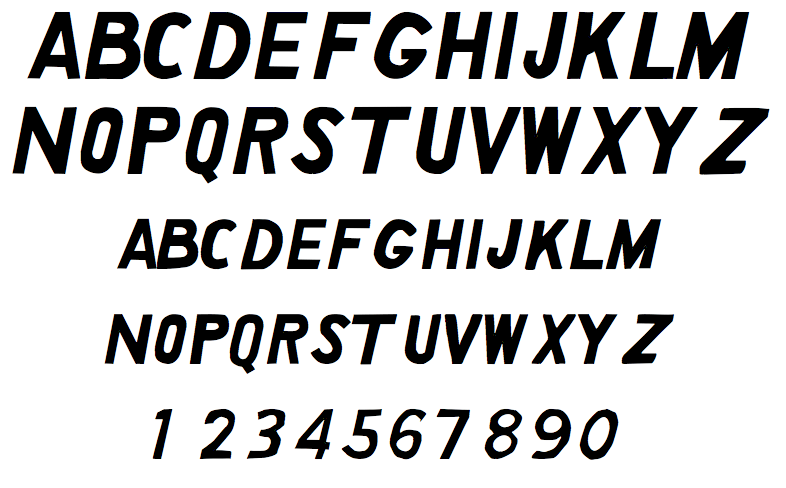 Feel free to download the True Type file here.